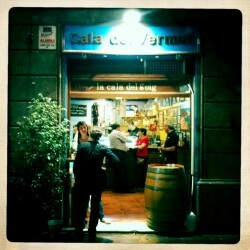 I kindly received an invite from Devour Barcelona food tours to join them one morning. 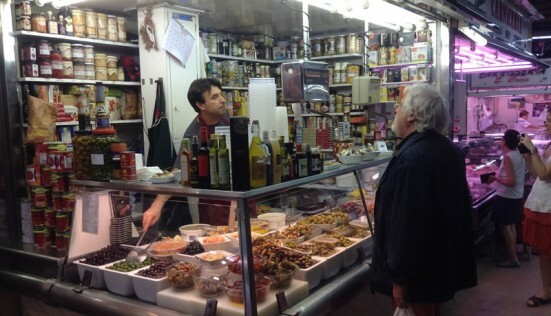 A food tour in Gràcia, one of my favourite neighbourhoods in Barcelona, sounded like great fun. 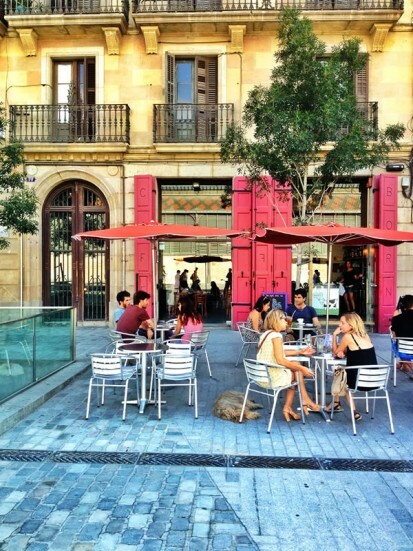 So one Friday morning I found myself at the top of Passeig de Gràcia with our guide, the lovely Renée, giving us a brief history of the street and its connection to the neighbourhood of Gràcia. And then off we went. Four hours of walking, talking, grazing, learning and generally passing the morning in a thoroughly pleasant way. UPDATE – 17th July 2013: We Pop is back for one weekend only. July 20th & 21st 2013. For further details check out their website. UPDATE – 19th April 2013: Although this particular event was during March 2013, We Pop assure us they will be back. If these photos don’t get you salivating then this place isn’t for you. 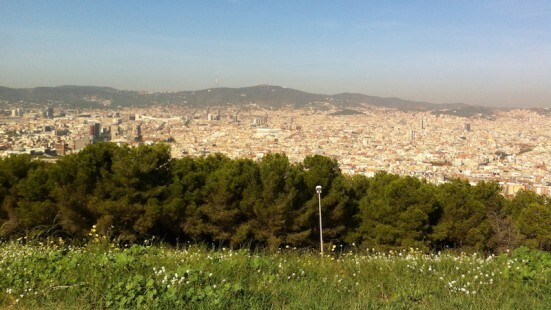 I can only suggest you read something else, about the cactus park on Montjuïc maybe. This is about meat. But not just any meat. 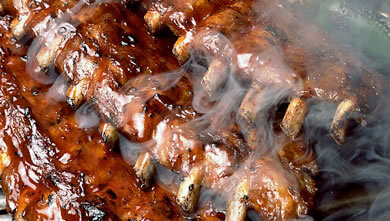 This is locally sourced (from nearby Vic), locally smoked (in hickory wood ovens) meat of the highest quality. 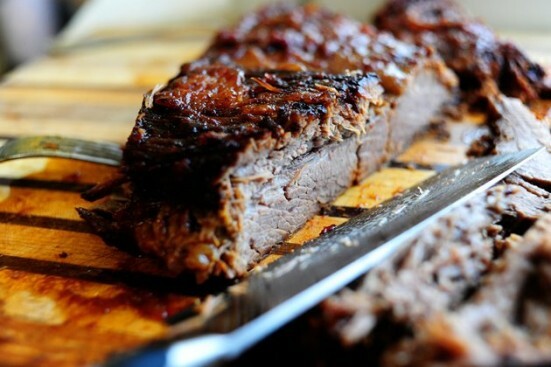 Succulent, full of flavour, this is the kind of meat you should be eating. This is the kind of meat on offer at We Pop!